Nolen Dean Sanders received an “Ambassador of Peace” Medal from the Korean government. Shown from left: Dianne Sanders Brown, Bobbie Jean Sanders, Anita Smalley Sanders, Nolen Dean Sanders, Skip Hocutt and Jerry Fulmer. 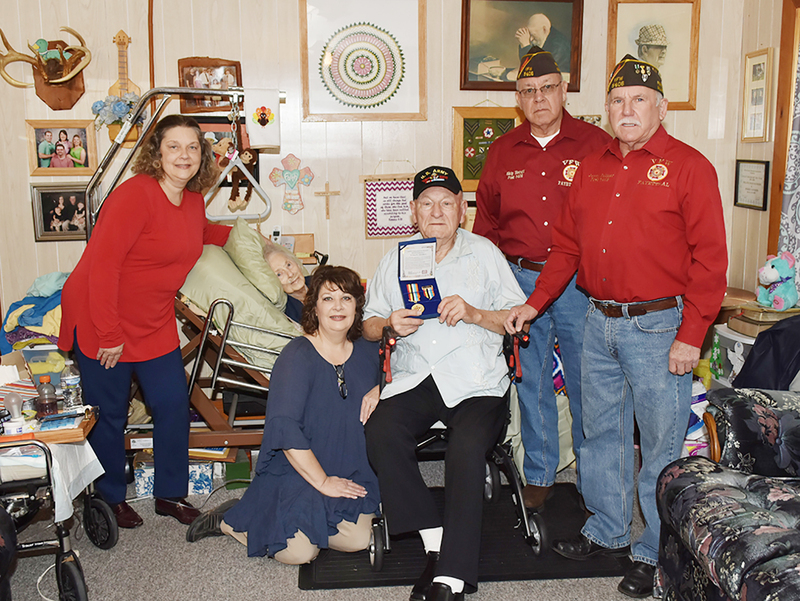 On Feb. 16, a day that he will never forget, Nolen Dean Sanders of Fayette received an “Ambassador of Peace” medal for his service in the Korean War. The medal was issued by the government of the Republic of Korea and presented to Sanders by two members of the local VFW Post, Post Commander Jerry Fulmer and Skip Hocutt. The certificate from the Korean government stated: “We cherish in our hearts the memory of your boundless sacrifices in helping us reestablish our Free Nation.